Two weeks ago Philadelphia regional rail commuters, a large group to which I belonged for a number of years, experienced a week from hell. On 2 July a yard inspector for Septa, the Philadelphia region’s transit agency, discovered a Silverliner V railcar tilting. 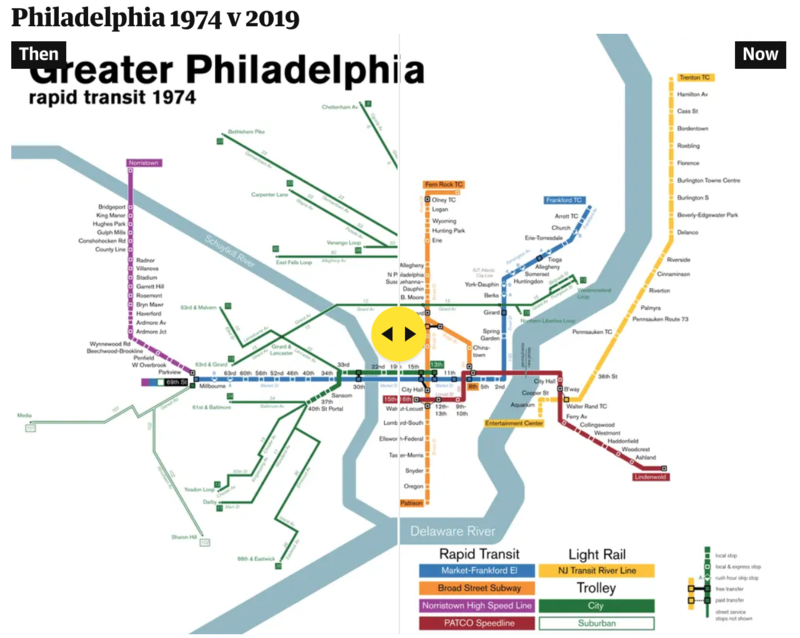 For those not familiar with Septa, the Silverliner Vs have been in service for only three years and have been long touted as the future of the Philadelphia commuter rail service. After inspection Septa discovered the tilting railcar suffered from a fatigue crack on the equaliser beam, specifically where it was welded to connect to the wheel bearings. The beam forms part of the truck, which is what connects the railcar to the rails, and any failure at speed could have resulted in an accident, possibly a derailment. The transit agency then quickly inspected the remainder of its fleet of 120 Silverliner Vs. It found the same fatigue crack in a total of 115 cars. By 4 July, Septa pulled all 120 Silverliner Vs from service. So what happened? At this point, we do not know. Septa continues tests to discover just what happened and just what can be done to repair the cars. Because, with a fleet of approximately 400 cars, the Silverliner Vs represent 1/3 of the fleet. 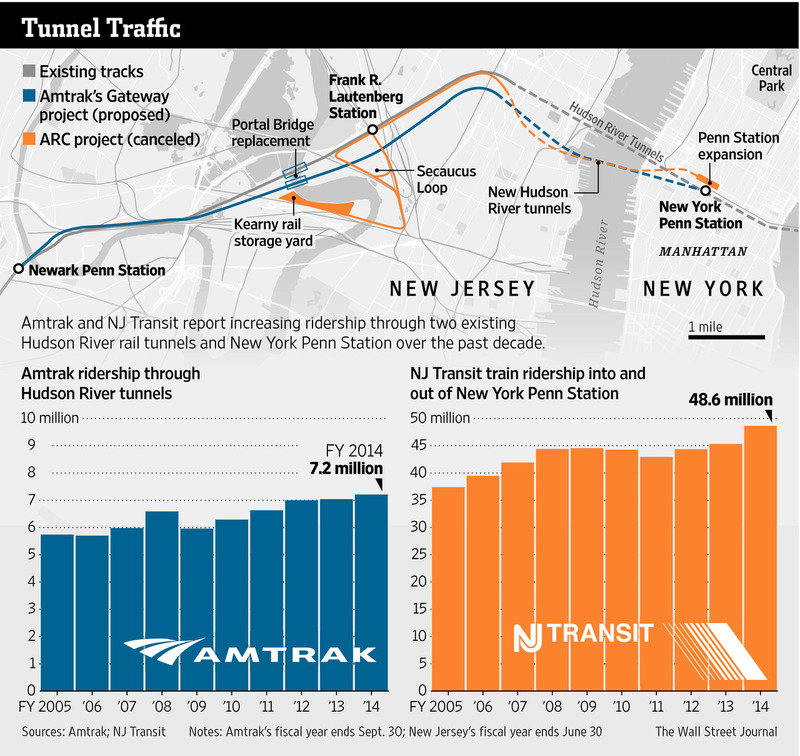 And with fewer seats and fewer trains, commuters attempting to ride into the city, particularly from nearer-in suburbs, find trains bypassing stations because they quickly reach capacity. 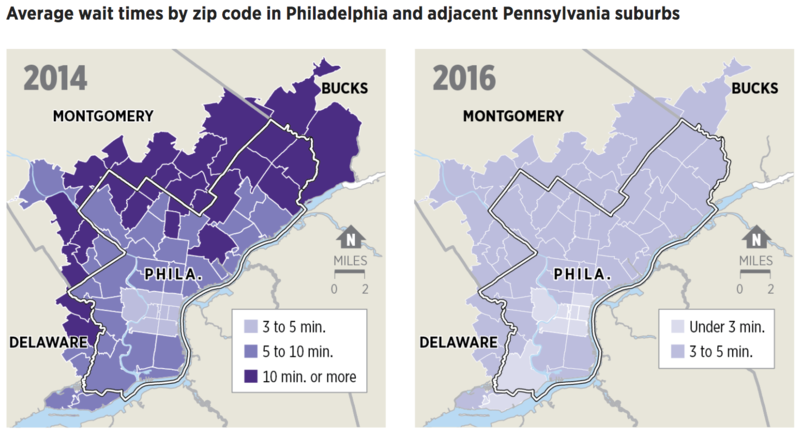 Consequently, Septa has instituted a reduced service—a modification of the Saturday service—with additional service on subways and other high-speed lines. Additionally, Septa has agreed to lease additional trainsets, i.e. 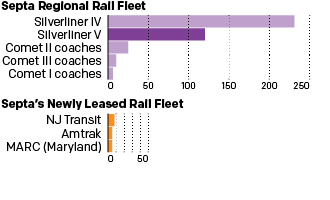 locomotives with passenger cars, from other regional transit agencies: Amtrak, New Jersey Transit (NJ Transit), and the Maryland Area Regional Commuter Train Service (MARC). 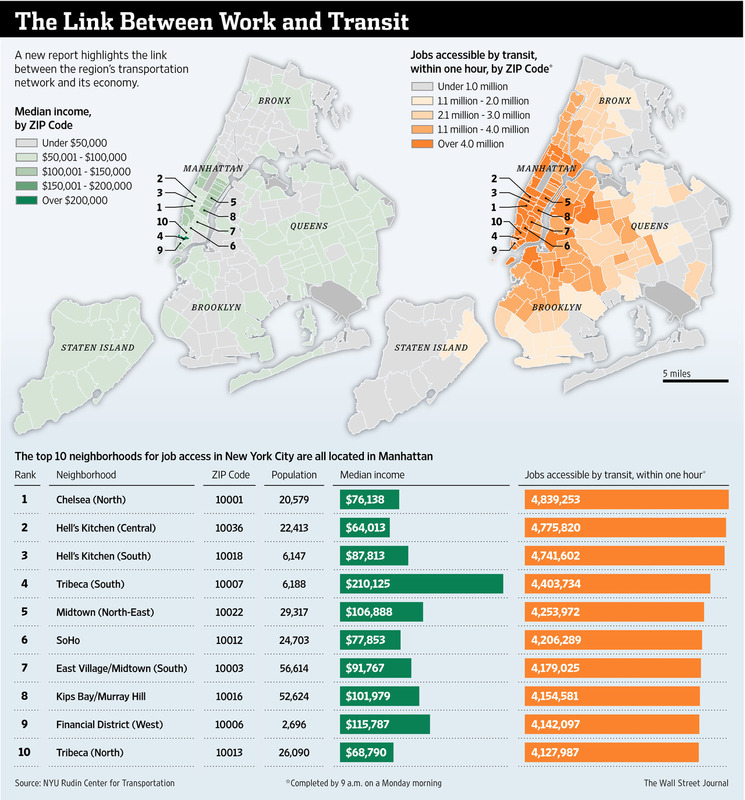 The Wall Street Journal recently published an interesting article about the link between work and access to transit. They included a graphic that looked at the link between the two. Today’s post is the graduate work of Michael Barry and Brian Card of Worcester Polytechnic Institute. The two looked at the available public data of the Massachusetts Bay Transportation Authority (MBTA)—the T to those that know—to better understand the Boston area subway system. Here the subway system refers to the heavy rail lines, i.e. the Blue, Orange, and Red lines. In short, the piece has a lot to look at that is worth looking at. This particular screenshot is an analysis of the stations across all times on average weekdays and weekends. You can see how in this particular selection, the size of the station markers pulse depending upon the time of day and the number of turnstile entries. Meanwhile the charts to the right show you the density through time of said entries and then compares the average number of turnstiles entries per day. 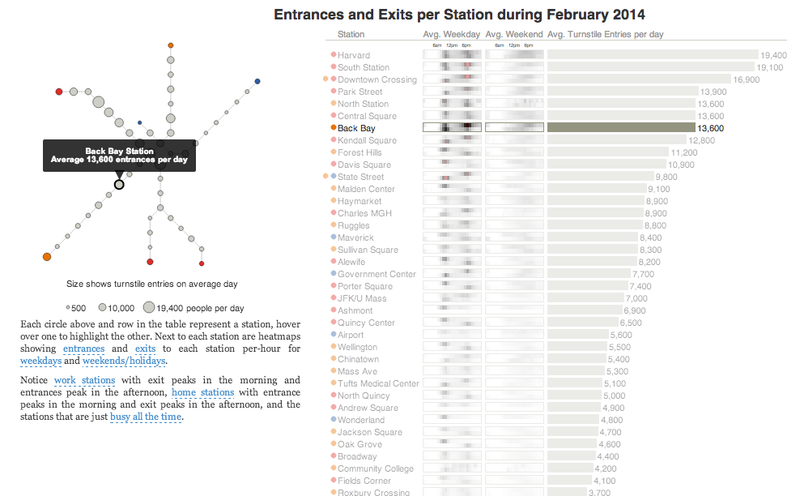 Text beneath the system map to the left provides a short analysis of the data, highlighting work vs. home stations. Credit for the piece goes to Michael Barry and Brian Card. Springfield from the Simpsons, of course. Happy Friday, and have fun visiting the Ethnictown station. The article comes from Atlantic Cities. 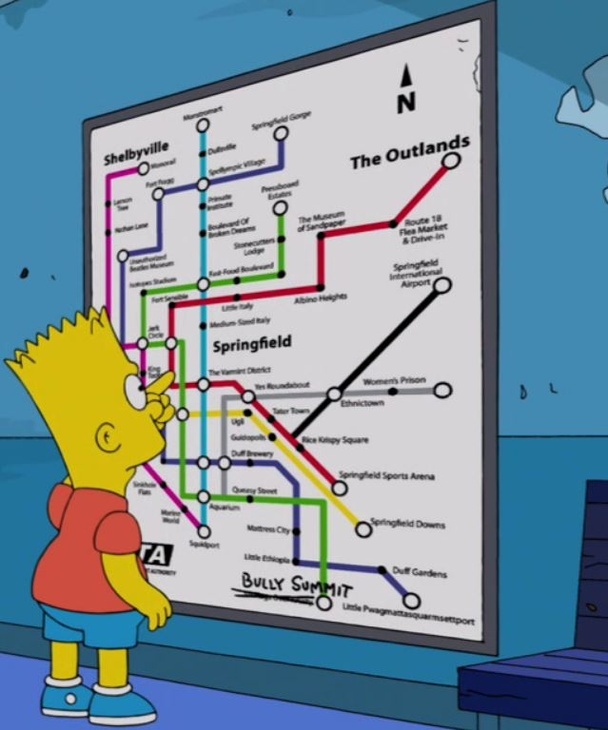 Credit for the piece goes to the designers of the Simpsons. So Cincinnati was going to have a streetcar. Now it won’t because the recently elected mayor, John Cranley, campaigned on killing the streetcar. I won’t get into the whys and the why nots mostly because I’m not from Cincinnati and others can do it better. Suffice it to say that costs and budget battles played a part. Yesterday the city council opted to pause the project. This will likely suspend federal grant payments, meaning contractors don’t get paid, which means the city faces lawsuits for being in breach of contract, which potentially means the city spends almost as much money cancelling the project as they would completing it. Ordinarily I would post something from a local newspaper or media outlet covering the story. But today I have the pleasure of sharing some work that my former professor made. 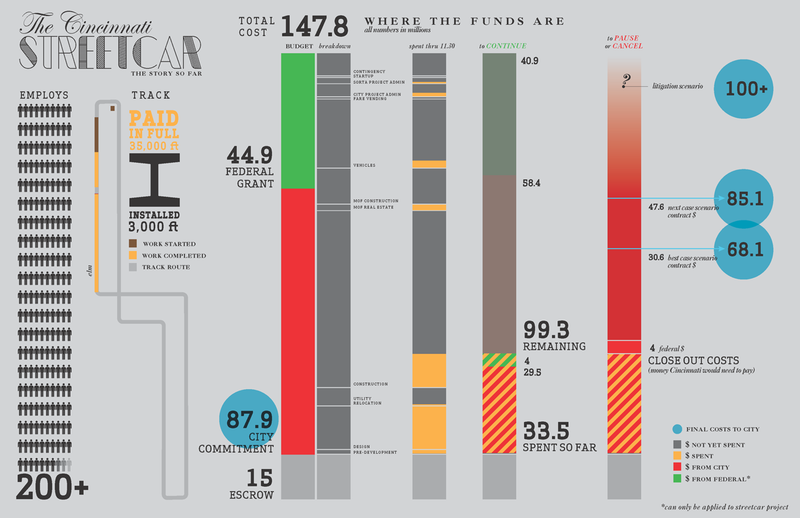 His infographic explores the fiscal details of the streetcar project and how much Cincinnati owes if they opt to cancel it in the end. Credit for the piece goes to Giacomo Ciminello. You can download the original here. And you can visit his site here.